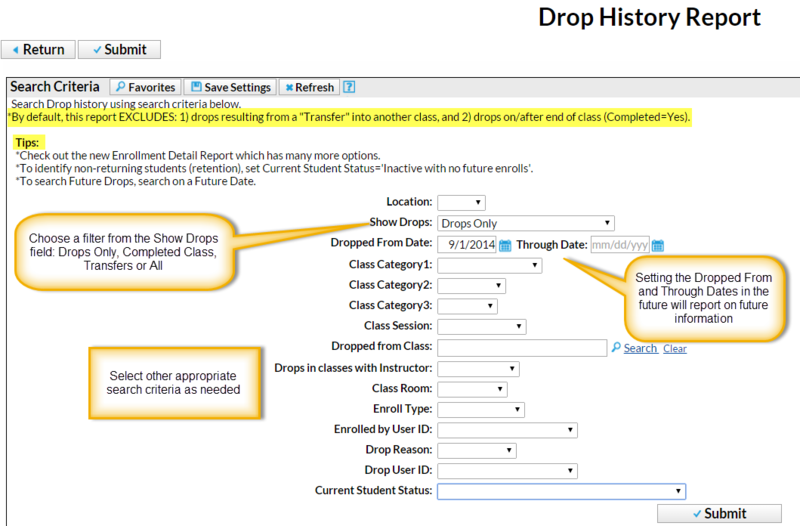 Located in the Families/Students and Classes/Enrollment sections of the Reports menu, the Drop History Report shows students who have been dropped from classes. Use the Search Criteria Show Drops = Transfers to report on only those students who were transferred out of a class and into another. The Enrollment Detail Report has many options and is a powerful reporting tool for many types of enrollment reports, including drops and transfers. Explore the many search criteria available for creating customized reports.